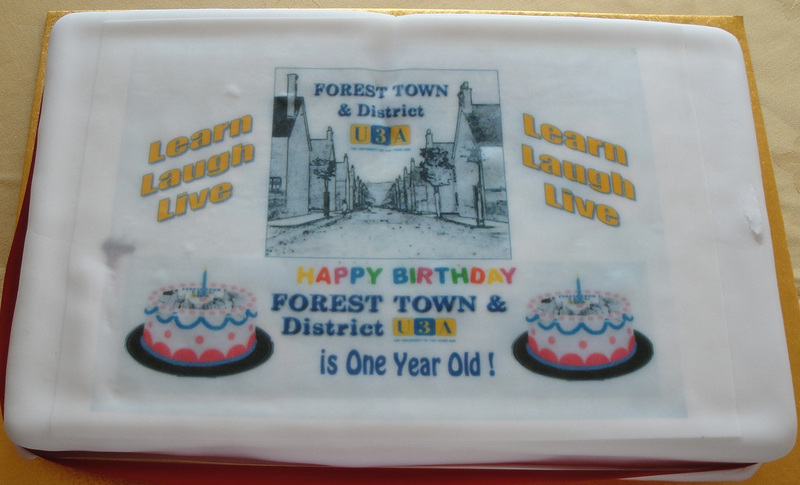 Forest Town & District U3A, celebrated its first birthday on Thursday 6th October 2016 at their meeting in St Alban’s Church Forest Town. 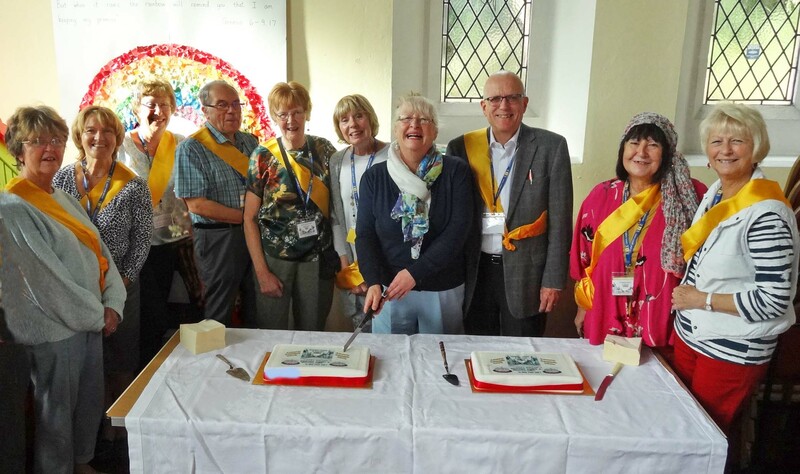 Membership in one year has grown to over 160 members which meant two celebration cakes were needed for this very special occasion. Seen here is Chairman Mike King (in the jacket) and some members of the Executive Committee with guest Karen Taylor. 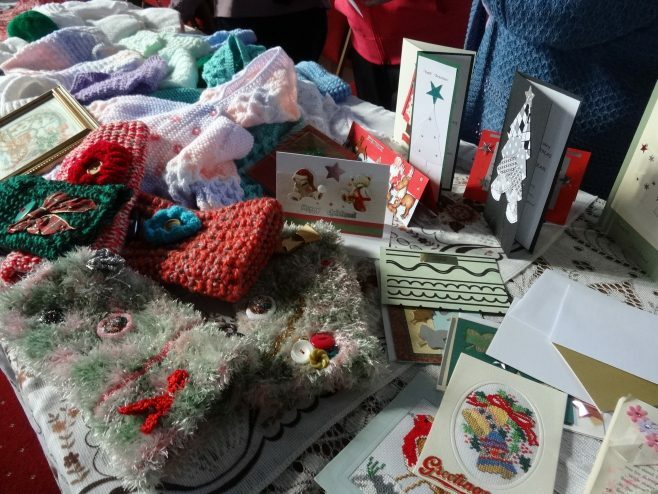 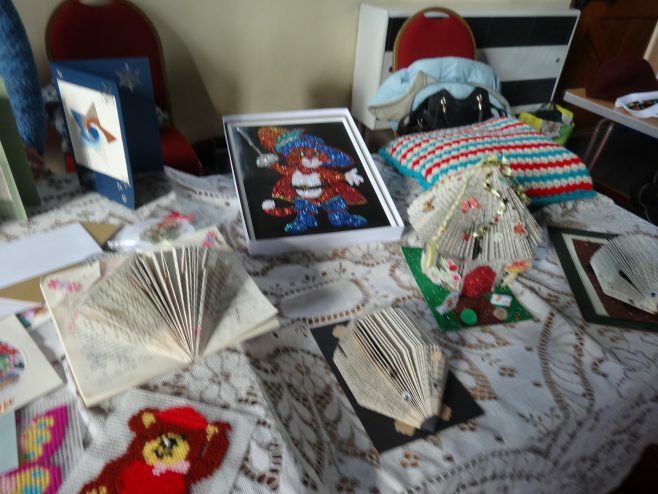 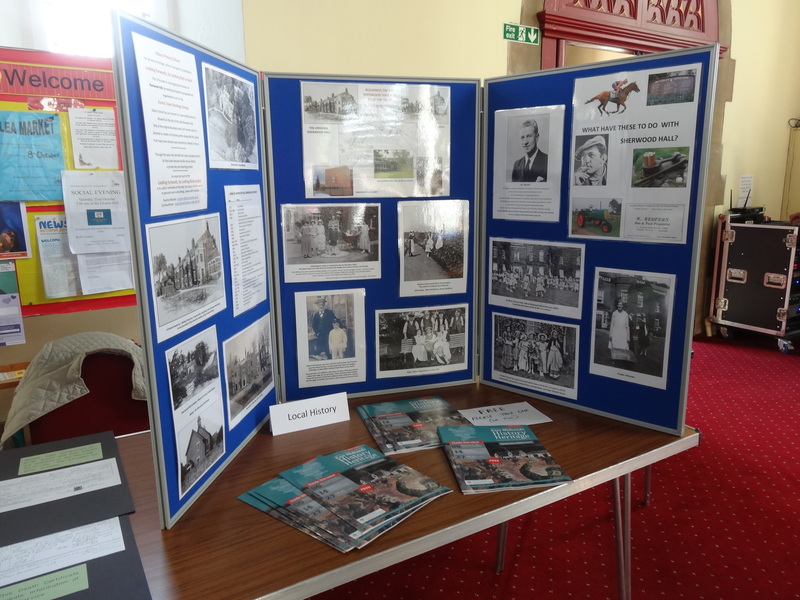 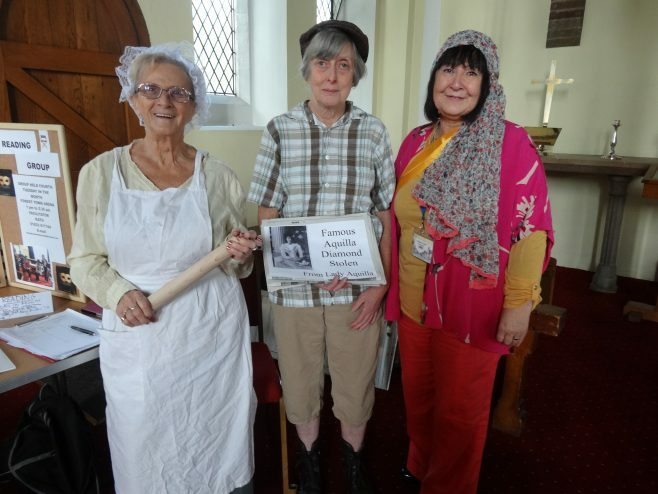 Around the room were displays by various U3A Groups – Family History, Local History, Play Reading and Crafts..
A local history display revealed information about the old Sherwood Hall which dated back to the mid 1700’s. A very interesting talk was also given on deaf awareness and had people queuing up afterward for extra information and guidance from the speaker. 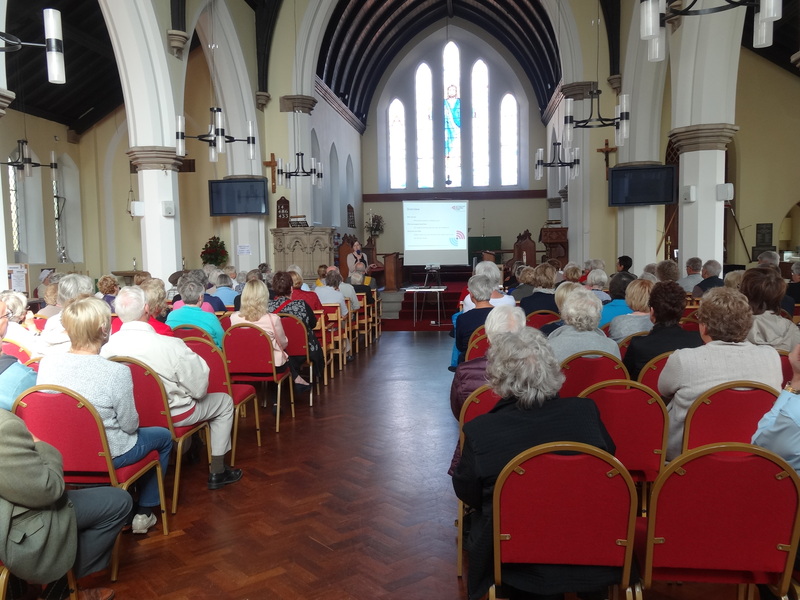 Forest Town U3A meets in St Alban’s Church Forest Town on the first Thursday of each month at 1.45pm for approximately 2 hours. 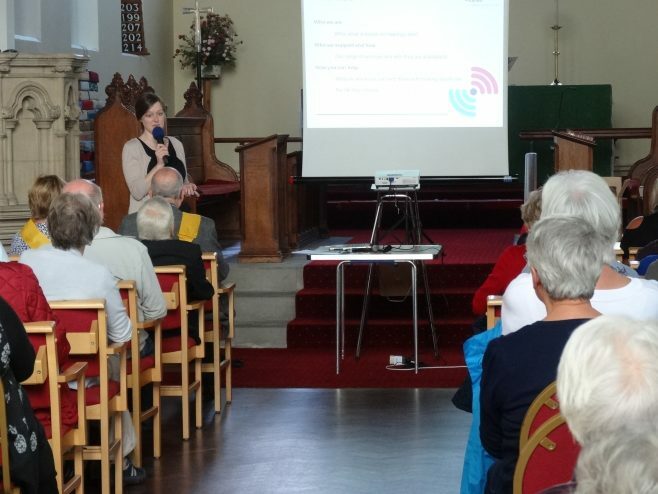 On most occasions there is a speaker and the opportunity to discover information about the many interest groups that are an added bonus to members. 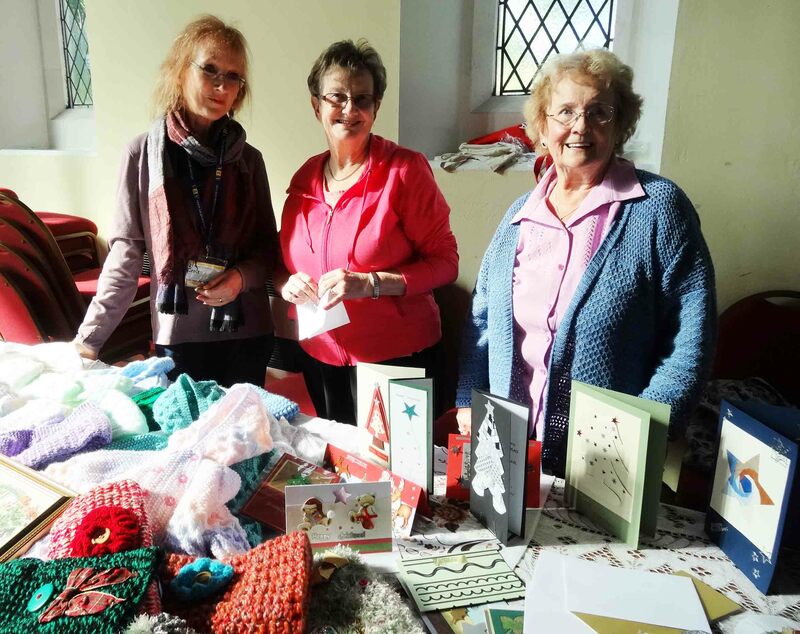 Membership is open to retired and semi-retired people, and people are welcome to attend two meetings to discover more about the U3A before joining.